collectSPACE had the rare opportunity recently to tour the space shuttle Atlantis to photograph its preparation and capture its glass cockpit powered and lit for one of its last times. The photo gallery starts on Atlantis’ flight deck, and then proceeds to its now mostly empty middeck, out into and above the 60-foot payload bay, and then around and under the winged spacecraft. 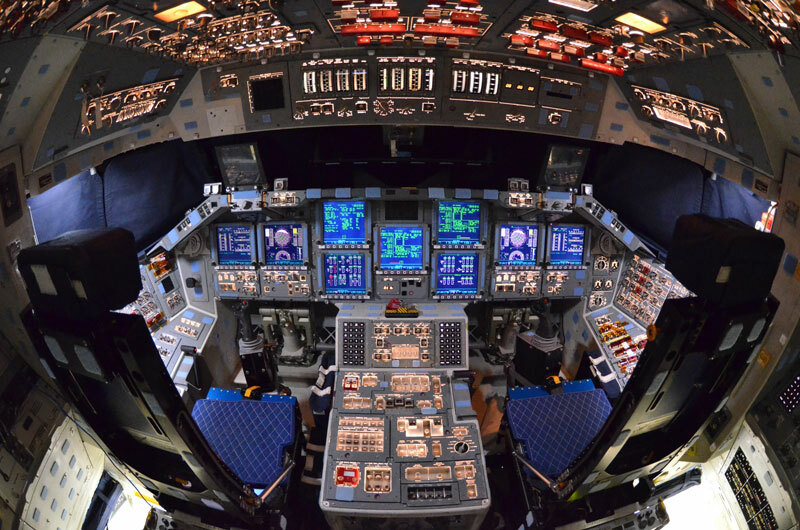 The photographs were taken inside Orbiter Processing Facility-2 (OPF-2) at the Kennedy Space Center.